The rotor blades of a wind turbine are subject to heavy loads due to the emerging operational loads and the additional environmental influences. 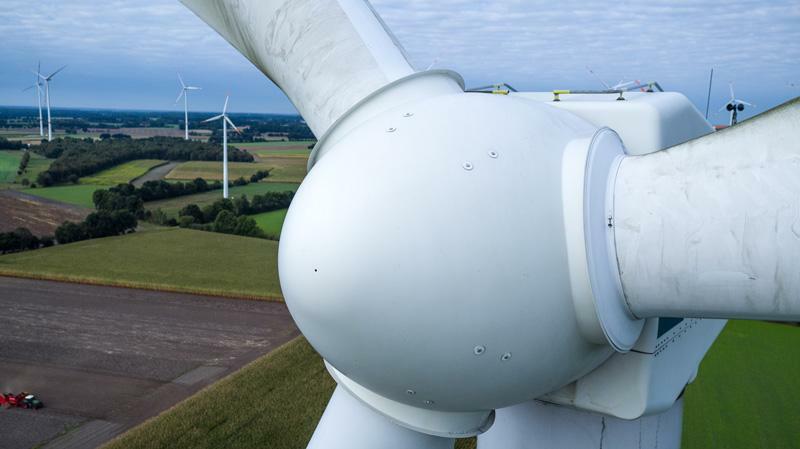 Because of that and the handcrafted manufacturing process the rotor blades can cause damage, which can lead to loss of earnings, high downtimes, even to the total loss of the wind turbine and to the public endangerment. With the latest drone technology, the SYSWE inspection service supports your rotor blade inspection. 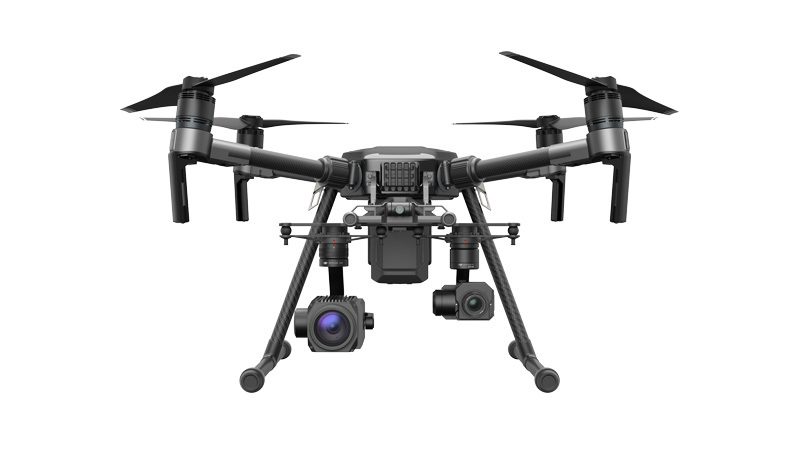 Through a drone-based condition test of the rotor blades, cable access technicians or industrial climbers get an idea of the actual condition of the rotor blades and are able to work more time-saving and targeted. In addition the downtime of the wind turbine is shortened. The following table compares the rope access technique with the drone inspection. 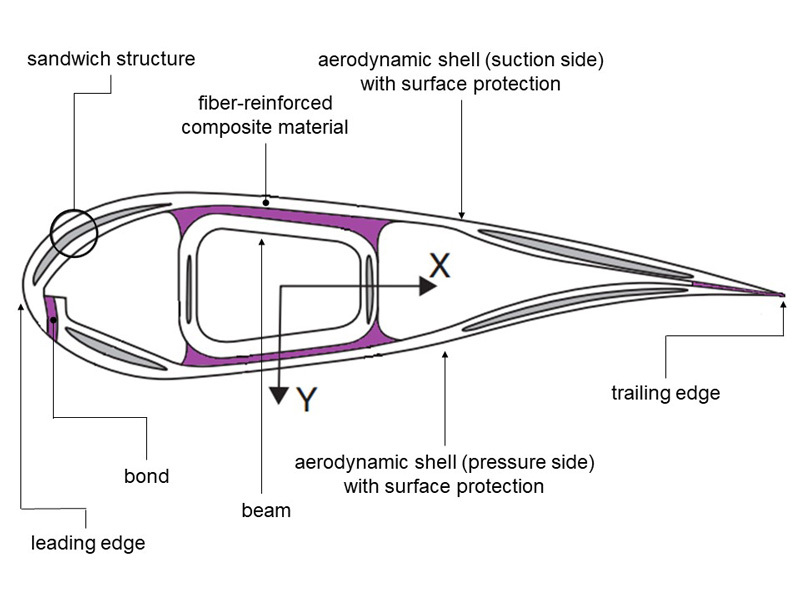 The aerodynamic shells, which form the pressure and suction sides of a rotor blade, and the webbing-web construction are made of fiber-reinforced composite material. Fiber reinforced composite material is a composite of fibers that substantially compensate for material stresses and a matrix that acts as a sheath and substrate. Dominant fibers for the production of rotor blades are glass and carbon fibers. Carbon fibers being used exclusively for reinforcing highly stressed areas. The aerodynamic shells are also coated with a surface protection, the so-called gel and topcoat. Furthermore, sandwich structures are implemented in the rotor blade. These structures consist of a stack arrangement of two cover layers and a filling material located therebetween. The aerodynamic shells are glued over the leading and trailing edges with the belt web construction to form a complete rotor blade. and thermographic methods for detecting damage within the structure of a rotor blade such as air pockets, delaminations and ondulations as well as adhesion defects. Why should you use the SYSWE Rotor Blade Inspection Service?